ALEXANDRIA: Theresa R DiRuzza, 87 of Alexandria died Wednesday, Oct. 3, 2018 in the Summit Convalescent Center after an extended illness. Theresa was born in Bronx, New York on Aug. 10, 1931 and was the daughter of Nicola and Theresa (Dartolli) Mercorelli. On September 3, 1955 she married Nicola George DiRuzza, Sr. who preceded her death on February 21, 2015. She was a home maker most of her life and was a loving and caring mother and grandmother. She always enjoyed spending time with her family and friends. Theresa was a member of the Church of St. Mary’s and the Daughters of Isabella. 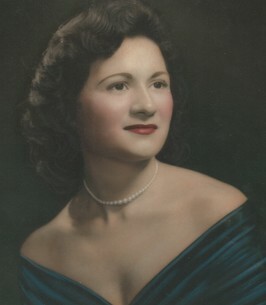 Left to cherish her memory is her sons, Nicola G. “Nick’ (Mary Ann) DiRuzza and George (Melody) DiRuzza; her grandchildren, Mario (Blair) DiRuzza, Maria (Anthony) Schultz, Lew DiRuzza, Andrea DiRuzza, Adrienne DiRuzza, Sarah DiRuzza and Ben DiRuzza and seven great-grandchildren; her brothers, Angelo Mercorelli, George Mercorelli; her sister, Gloria (Freddie) Cosimano. A Mass of Christian Burial will be celebrated on Monday, Oct. 8, 2018 at 11:00 a.m. in the Church of St. Mary’s, 820 W Madison, Alexandria with Fr. Dan Duff as Celebrant. Burial will follow in Park View Cemetery. Friends may call at Whetsel Funeral Service on Sunday, Oct. 7, 2018 from 4:00 p.m. to 8:00 p.m. and one hour prior to the Mass on Monday at the church. A Rosary Service will be held at 7:00 p.m. on Sunday at the funeral home. The family request memorials be made to the Church of St. Mary’s Building Fund, 820 W Madison, Alexandria, IN 46001 or in care of the funeral home. The Whetsel family is honored to celebrate the life of Theresa R DiRuzza with her family and community. 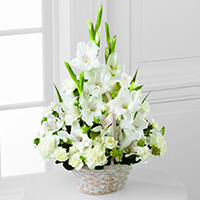 To send flowers to the family of Theresa R DiRuzza (Mercorelli), please visit our Heartfelt Sympathies Store. We encourage you to share any memorable photos or stories about Theresa. All tributes placed on and purchased through this memorial website will remain on in perpetuity for future generations. I'm so sorry! Hugs and prayers to all of you. Thinking of your family at this difficult time . So sorry for your loss, Nick and George. We all go through this, but that doesn't make it easy. Nick and George, please accept my deepest sympathies at this very difficult time. I’m praying for you and all who loved your mom.